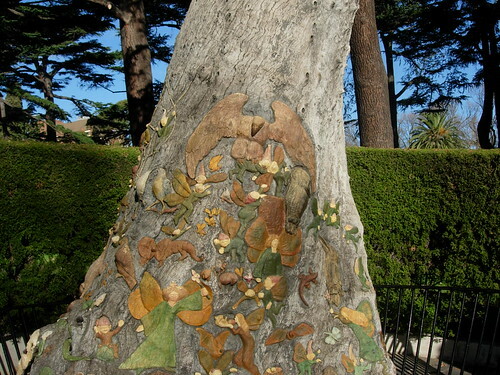 The Fairies Tree could be found at The Fitzroy Garden in Melbourne, Victoria, Australia, was carved by Ola Cohn, M.B.E., A.R.C.A. from 1931-1934. 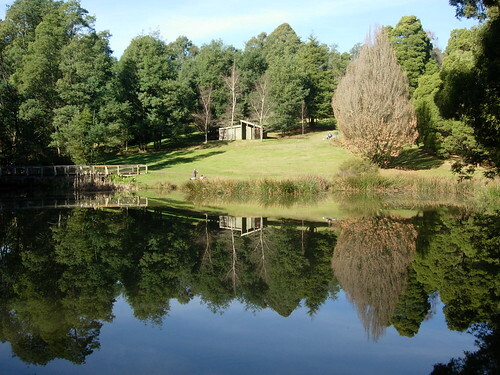 The Fairies Tree was a gift to the children of Melbourne. I have carved a tree in the Fitzroy Garden for you and the fairies but mostly for the fairies and those who believe in them for they will understand how necessary it is to have a fairy sanctuary. A place that is sacred and safe as a home should be to all living creatures. Therefore I dedicate this book to children and fairies as it is to them I owe my inspiration.